In nearly every disciple's life, there comes a time of loneliness and doubt. It seems as if our prayer requests just bounce off the ceiling and fall in broken pieces at our feet. God seems distant, hiding, asleep, or unsympathetic to our cries for mercy and help. Thankfully God gives us the Psalms. 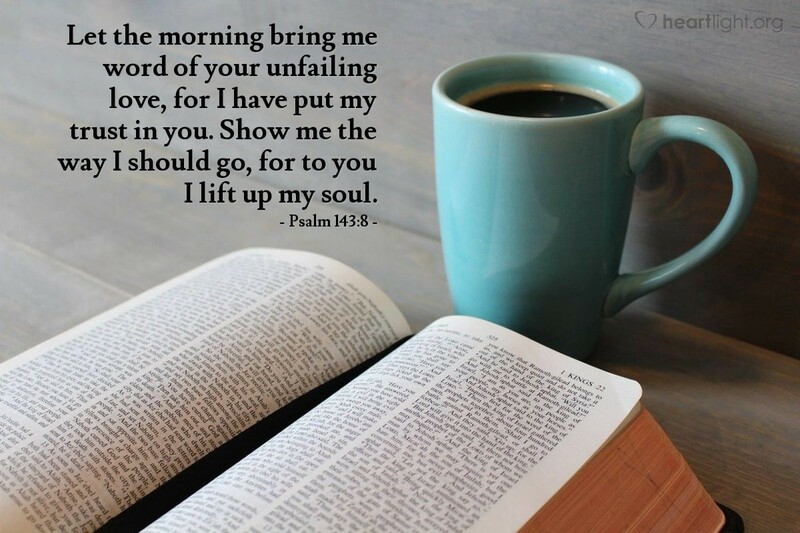 In the Psalms we can find words for almost all of life's ups and downs. It is nice when we are down to know that others have been there before us and have recovered their faith and vitality. But, there are just some moments in life when we need to have God's reminders of his love and guidance. This psalm, and these words are made for such a time. If the request is not relevant to your need, then please, pray these words for someone else. If, on the other hand, they speak to you then please, pray them for yourself! Dear Father, please make your presence undeniably known in my life and help me see your presence and mercy clearly. I want to honor you, dear God, but please make your guidance clear so that I can follow you boldly and faithfully in your will. In Jesus' name I pray. Amen.